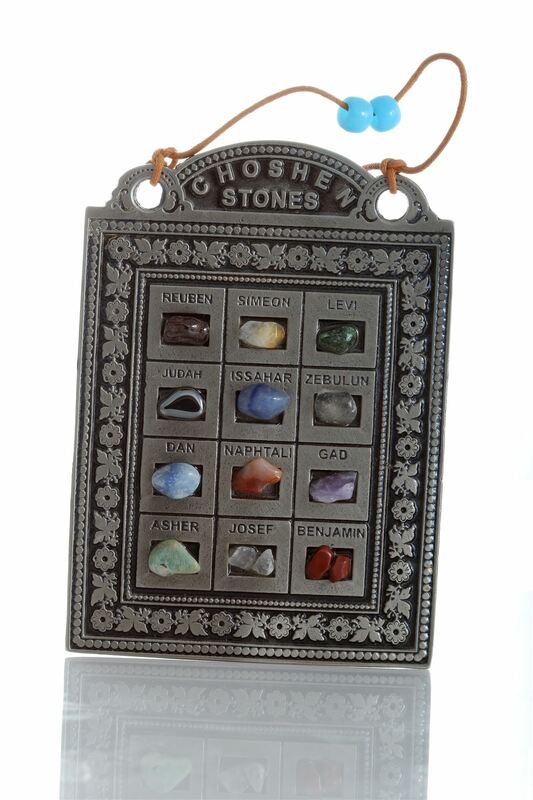 This wall hanging is a symbolic Hoshen, the sacred breastplate worn by the Jewish high priest, and it is inlaid with colorful hoshen stones and inscribed with the names of the original 12 Tribes of Israel. This amulet pendant wall hanging represents a hoshen shield. It comes with a hook for hanging on the wall.